For the last couple days I have started up the Windows Task Manager before logging into EVE. Most of my play involves having two game clients active at the same time. Since Inferno 1.1 my client memory use has increased and this has become unplayable. I have been trying to get a base line on the Memory usage so I could in turn test the impact of changing various client options. Turns out the base line is a moving target. Just when you think you have a grasp on this however, the memory will drop to 640MB (after having the client minimised for a while), or leap +200MB just by opening up the Planet View Mode. So, very simplistically, it looks like the client makes use of any spare memory it finds, but cleans up regularly. The gradual increase in private memory use until (an apparent) cap just under 1.2GB could be a sign of a memory leak, or the fact the client finds there is that much memory free so makes full use of it. Opening two client windows sees a change. The Private Memory values stay more consistent and lower, generally around 850MB. However with two clients in space and regular session changes occurring I am now getting constant stuttering and client freezes as the system basically runs out of memory. I can close down everything else on the PC to free up an extra 200MB of RAM, but within a minute or two the memory issues return. I don’t however think this is as simple as needing X amount of memory, which is more than my system can handle. When you watch the allocation of physical memory across the in use, modified, standby and free categories with two clients running, you see dramatic changes with available memory fluctuating between 0 and 500MB. It looks as if each client tries to grab as much memory as it can (for performance reasons), but doesn’t take into account there is another EVE client trying to do the same thing. That results in constant memory contention issues every time a session change occurs. So where does that leave me? Basically not doing anything in EVE that requires more than one account logged in – so things like my mobile mission base, mobile exploration base, moving around 0.0, moving Capitals, my wormhole exploration and so on are off the cards. My situation and the issues they are looking into might well relate. Or they might not. The other “solution” is fast tracking my PC upgrade. I was forced to run 32 Bit Windows (and so have limited RAM) at my last upgrade due to support for older hardware (an expensive printer and scanner). I custom pick every aspect of my PC’s, which can take a while. I’ve got most of the components decided now, I just need to bite the bullet and start the purchasing process. Until either CCP improves things or I take delivery of a new PC, then I guess I’ll be playing less EVE. At around 6am yesterday my main character moved past 100 Million Skill Points. I would have liked to have watched the number tick over, or marked the occasion in some way, but instead I was busy getting ready for one of my rare visits into the Office. How inconsiderate of my boss to pick that day of all days to fly in. As I recently remarked, he can fly all but 7 ships in the game (he covered off the Anshar earlier today). He can also fit all but a handful of modules. He would have around 20B ISK in cash and assets, with more sitting on a number of other accounts. His biggest source of income over the last year though has probably been inflation – where he has sold or turned over assets which through little planning have ended up worth much more than he purchased them for. For example while cleaning up a mission base last weekend he found tags which he had purchased years ago for around 36M, which have a current value of 450M. He operates around a number of bases, most of which have a jump clone associated with them. If you look at Chribba’s EVEBoard .. The real meaning of 1.1? Updated my EVE client with the Inferno 1.1 patch and logged two accounts in. Soon found my system struggling to cope, so closed down other applications and watched memory usage. Inferno 1.0 memory usage was around 750Mb docked and 850Mb in space. Inferno 1.1 memory usage seems to be around 950Mb docked and touch under 1,100MB in space. 1.1 apparently stands for 1.1GB of memory required. My 32 bit version of Window’s 7 can’t run two clients comfortable of that size. I updated my laptop install and found it uses around 850Mb of memory in space – but it defaults to much lower settings. Looks like I am going to have to play around with the visual settings and downgrade them to free up memory. At the time of Incursions I could run 3 clients on my PC without an issue. After Incarna it dropped to 2 clients. Currently with Inferno it is down to 1. Amateur hour at CCP again. 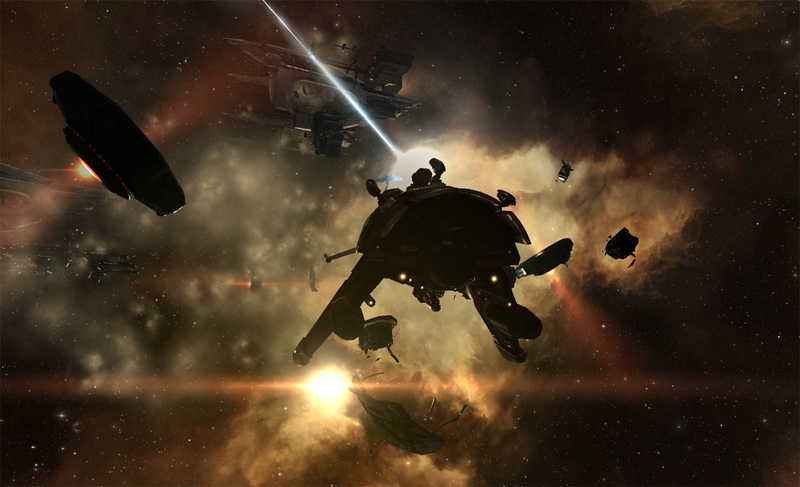 A little while ago CCP mistakenly removed a few items from the game – including Python Mines. I had some in my central storage location in Empire. CCP realised their mistake and returned them sometime later. Unfortunately this was to the station you happened to be docked in at the time, which was in NPC 0.0 on that particular day. Those little mines finally made their way home on the weekend via carrier jump and a manual trip across three regions. Hopefully next time CCP fix a mistake it requires a little less effort from the players. Speaking of mistakes, what about those Faction Warfare reward changes? I had assumed everyone would be aware of them, but the Corp forums only started to discuss them yesterday. It was a reminder that many players pay no attention to EVE news, forum and blog sites. While I will be happy to see these all fixed, redressed and rebalanced, I had to admit I basically found a level of amusement in it all. 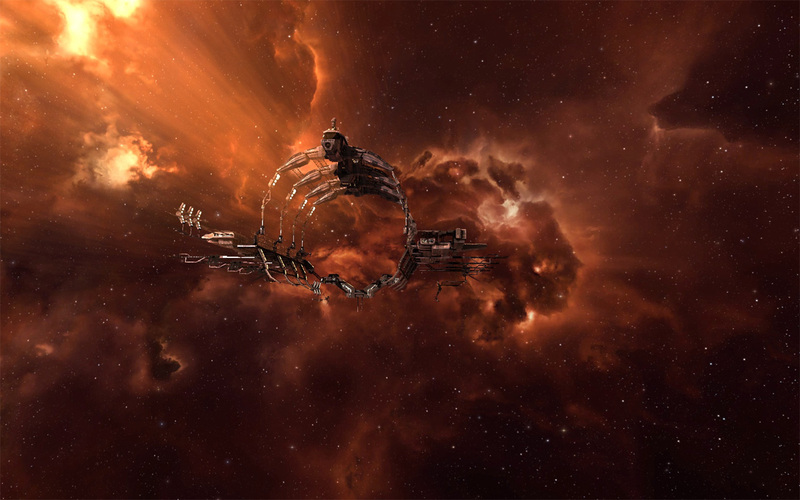 CCP should never underestimate the powers of observation and ingenuity of some of its player base. If you summarise this right down – there are players who know aspects of the game better than the developers who wrote it. I guess that is the consequence of having a sandpit to play in. I also picked up some new PVP ships to try, and am just finishing off the process of staging them in low sec where my carriers jump in and out of. 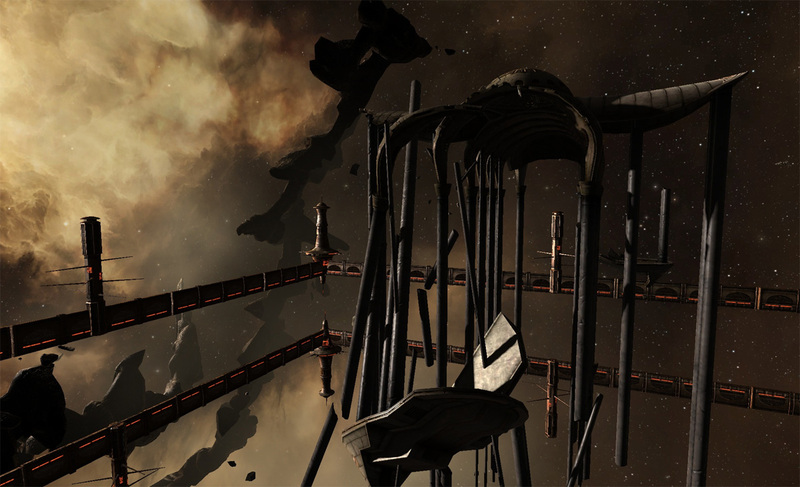 During this process of ferrying hulls and supplies I had an Alt cloaked on the low sec gate I was using. I had just jumped back out to empire in a transport ship when a Raven Navy Issue landed on the gate and sat there. I thought it was an odd choice of ship to be camping a gate, but after a few minutes it got even stranger. He launched Core Scan Probes. I remarked on it in Corp, and someone pipes up that it might be a trap. 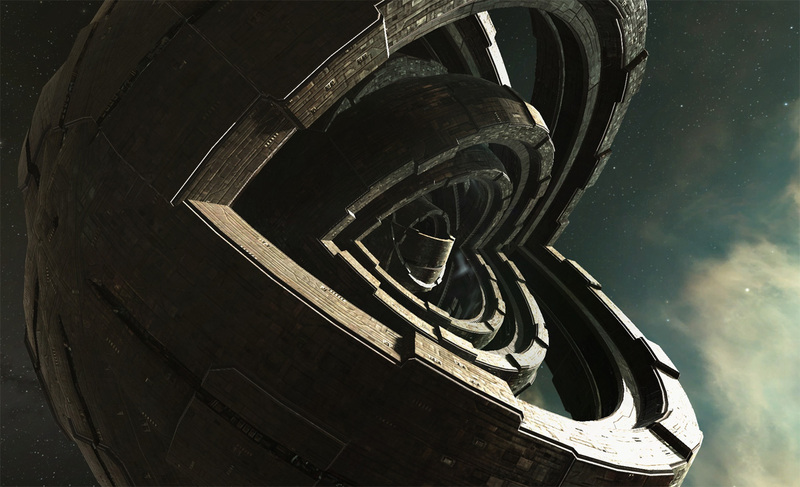 It didn’t look like it – the player was in a NPC Corp with under a year on his pod license. I think he was just flying dumb. Still – he was sitting right on the gate so could escape easily enough if he wanted. The Corp’s rules of engagement basically (and intelligently) suggest you don’t pirate in our common staging systems. Easy for me to follow given I am not inclined to pirate anyway. Still – this needed some response. So I boarded a Stabber Fleet Issue and jumped back into the system. No movement and no targeting from the other pilot. He must have had his system map up. I tried to bump him off the gate to get a reaction, but each effort only moved him a few hundred meters. I docked the stabber and went back out to Empire for another combat ship. This time I returned in a Cynabal which had a more satisfying effect, and I managed to knock him out of range of the gate. Still no reaction however, he seemed blind to the fact I was there, and what I was doing. I wasn’t going to engage him, and I didn’t want to leave him miles off the gate for someone else to kill, so I just left him there. A while later he warped off to an Exploration site, probably none the wiser. Just what sort of neighbours do you want? The Corporation leadership has dropped a few hints of late that there are unsettling changes ahead in our 0.0 home. I haven’t spent much time down there for a while, but I ventured over to the various EVE related forums until I found references to what they are probably talking about. Looks like it might get messy. While doing this research I was again reminded of the derision that tends to be thrown our way in public. I’ve always been a member of Corporations and Alliances that are somewhat clumsy at PVP. Tactics tend to be rather poor, fleet composition a mess, and pilot skill lacking. While the occasional good FC or pilot comes along and lifts the rest, these people generally end up moving on to somewhere more professional. These organisations make up for that however with heart, a level of tenacity, and a willingness to have a go. Truth be told, my Alliances generally don’t forge homes for themselves in 0.0, but have instead done so as part coalitions, or as allies of stronger powers. They do so however without paying rent. Interestingly while their enemies never show a great deal of respect towards them, their Allies tend to. I haven’t minded these Groups. They are often made up of older blokes, married with kids and busy careers, whose real life means they just can’t do more than play EVE on Casual mode. But they enjoy the game, and are happy to experience all parts of it. Like me. As I said, when I read comments others make about us it tends to be derogatory. Sometimes this is laughable – hissy fits because you won’t engage them when, where and how they want you to. Sometimes it is accurate – we really can be that bad. Sometimes they are indignant that we dare to exist in Null Sec in the first place, and insist we should be driven out. I am not complaining about the insults. I am not asking to be left alone or be given a free ride. I am not suggesting we have any particular right to be where we are. I do wonder however why our enemies see no value in our presence. They don’t need or want our space (we really do live in the crappiest of places) and there is no risk of being usurped from their own homes. Basically what we do is provide targets. Not always easy targets, but targets none the less. The killboards are always active – and while we mightn’t put up challenging fleet compositions, we do give out scraps and skirmishes. There are also the industry, mining and PVE ships doing foolish things that can be hunted down. Is there considered to be no value in having neighbours like that? We have recently seen lots of complaining about the more casual players being in Empire – yet when we move to Null Sec, they complain about us being there too! I plan to run just about every site I find at least once, stopping to enjoy the scenery in each one, and move across the map to try my hand at all the Pirate faction variations. I’ve had 4 sessions so far, and have found lots of Omber Gravimetric sites (which I have ignored), a large number of Wormhole’s, a couple Combat sites and the usual mix of anomalies. I had the Pulverize the Pioneers Escalation from a Rogue Drone Haunted Yard Complex, right through to its end. I use the Retribution for this, and found it easy but with minimal rewards. I also had the Medical Twilight Escalation from a Blood Watch Complex. I started with the Retribution on this, but found it was taking too long to kite the mass of ships while staying out of neut range. I completed the rest of the complex and resulting escalation with the Legion. It still required a bit of care with triggers, but otherwise worked out well. This also went right through to the end, but the site was in an extremely busy low sec system. I contemplated taking in a Pilgrim, but reading up the description I don’t think I’d get through it before I was scanned down and someone else enjoyed whatever rewards dropped from the Blood Factory Overseer. As such I did not complete it. I had half an eye on D-Scan while running the Blood Watch Complex, and noticed two sets of probes out. As such I wasn’t surprised to get two visitors – the first in a Nighthawk in the first room, who warped out again. (May have been because the gate was locked and I had dragged the key ship a fair way out in my Retribution.) The second visitor was in a Proteus who came into the second room and tried to trigger the Faction Ship – but I had already killed and looted it and got the escalation. He stole from a can then warped out. I can see being contested in these sites is going to be a bit of a problem. It is obvious people just Zerg these – hitting the triggers, getting the faction drops and then just warping out. I am generally not researching them, working them out as I go, and just taking my time. That is going to cost in me ISK, and likely a level of annoyance. The drops were all pretty average, but that just comes down to luck. For around 4 hours effort I ended up with 55M of loot and 10M in bounties. Not good money, but half fun for a change. Here’s the Legion Fit I am currently using. It is trying to be a Jack of all trades, but so far I have been pleased with its performance. It wasn’t that expensive either. It doesn’t have much of a buffer though, so in the harder complexes you will need to pay a little attention. When my wife was pregnant with our first child, we got into the habit of reading the weekly progression of Kaz Cooke’s book “Up The Duff”. One comment left a lasting impression. She warned that when you told people you were expecting, you should not take the reaction too personally. It was more about them than you. It helped put context around the responses we had – from an indifferent family member to an acquaintance that gushed and cried with joy. It has also held true in many other areas of life. I’ve been viewing the sometimes spiteful banter between the Carebear vs. Aggressive Player in the same way. Paying less heed to what they are saying about their opponents, and focusing more attention on what their posts might say about them. I know this really oversimplifies things, but I have been left with the impression that both sides have their share of bitter vets whose behaviour and angst is more reflective of their struggling relationship with the game than how much EHP a Hulk should have. There are too many personal attacks and too much negativity. You look for thoughtful analysis, logical and workable ideas, and goals which would improve the game – but instead find people who just seem to be looking for an excuse to rage quit. 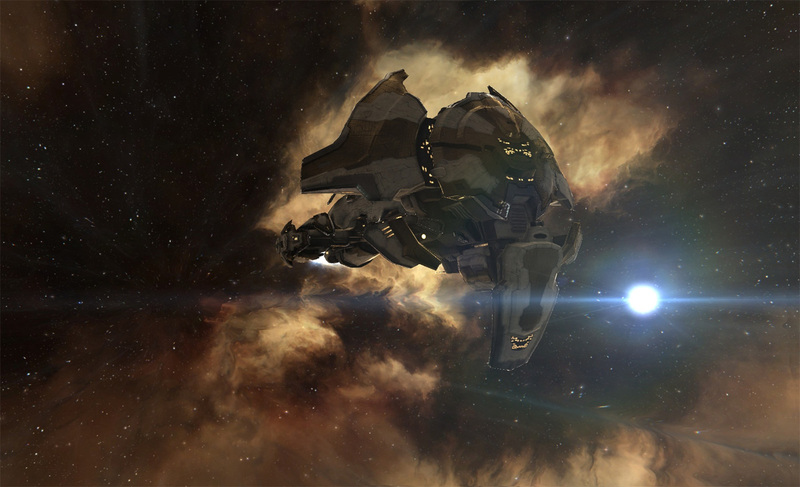 I suspect CCP ignored the angst-ridden cries and focused on what is the real underlying issue (in this particular case), the role and balancing of mining ships. I really like the proposals. They are not giving the miner’s their tanked Hulk as demanded. In fact it seems they will be mostly unchanged, and are specifically geared towards group operations where they can be protected. (Not that grouping Hulks together provides any real level of safety.) Instead they are buffing the lesser tier vessels with greater yields, much better tanks, and much greater ore capacity. I’ve seen a few comments that it will just mean there will be lots of Retrievers AFK mining in Empire after the next Expansion, but that wasn’t my first thought. I saw that finally there would be a perfect mining vessel for Low and Null Sec. I haven’t bothered taking a mining vessel down to my NPC 0.0 home. The Risk vs. Reward equation was heavily stacked in the negative. A cheap Retriever which pays for itself in its first full Hold changes that equation entirely. I caught the DEV blog soon after it was released, and happened to be sitting in Jita spending up on exploration ships. I took the opportunity to buy a couple dozen mining vessels off the market, and then resold them 12 hours later for a useful profit. The hype seemed a little silly given the updates are not set in stone and are many months away, but I figured the prices would bounce. I am a touch sad however – all of a sudden the lower tier mining vessels will be worth keeping in your hanger. That is disappointing as one of the things I have made good money on over the last year has been buying and re-selling the lower tier mining vessels as people upgrade. Meanwhile I have still been playing. 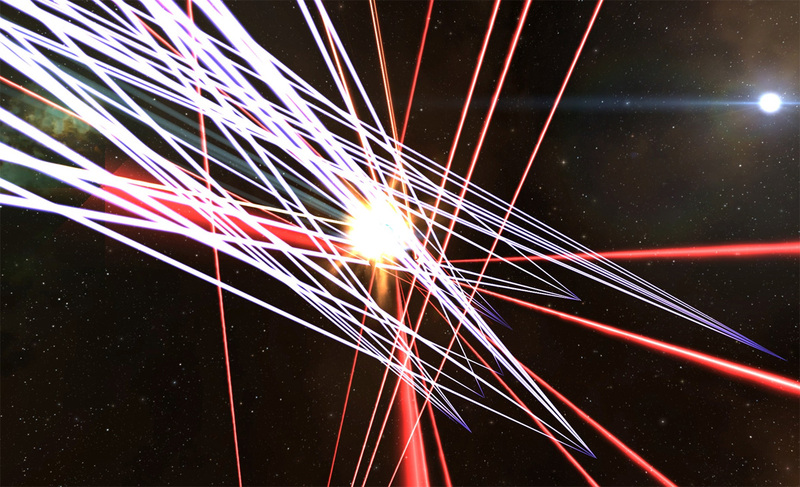 I am having some issues with my dual account wormhole explorations – mainly around the PC not coping well with two long running EVE clients and the various browsers and applications I have open for research and recording what is happening. I had a few frightening freezes during session changes while jumping through holes, which is not something I want to lose an expensive ship to. I had already planned to replace this desktop PC, but I now need to get organised and do that sooner rather than later. In the meanwhile my wormhole travels will be partially on hold. What I have done is setup another Orca and loaded it up with exploration ships, and started to run those empire sites I was ignoring while hunting for wormholes. I figure I needed some different screen captures for the Blog, plus it should improve my scanning, and put me in better stead to go back to doing some Low and Null Sec exploration down the track. I’ll post up my rather ugly Jack of All trades Legion fit I ended up with soon.